Here’s an interesting one. 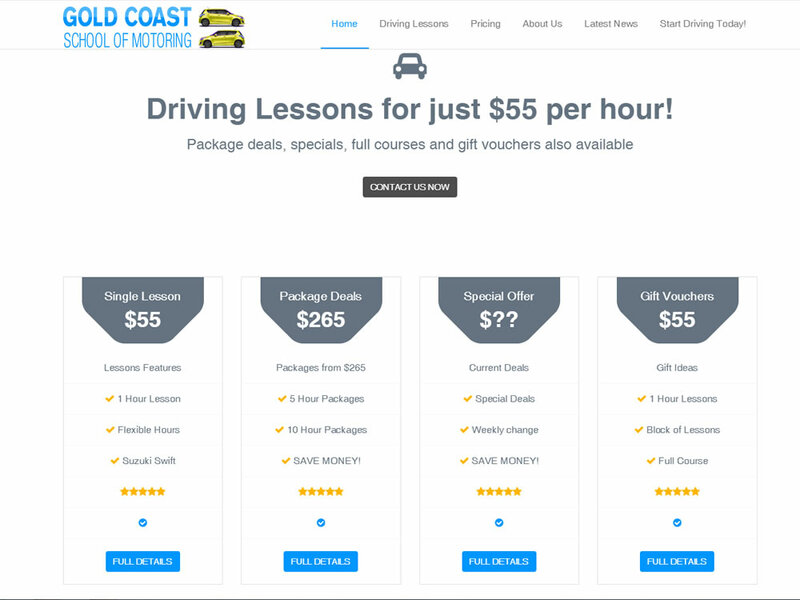 Josef from Gold Coast School of Motoring originally came to us in 2007 to create a website for him. 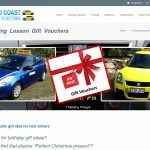 Back then we created a website that did exactly what he needed and we got him onto page 1 in Google for the very competitive phrase “Driving lessons Gold Coast”. Anyway, around the end of 2014, Josef came back to us to let us know that he had been offered to get his website done by a friend and would no longer be needing our services. We of course helped him with all the transfer and thanked him for his custom. At the start of 2016, we got a phone call from Josef asking for help. 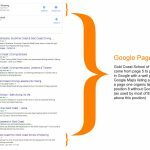 His new website had slowly but surely disappeared from all results in Google and his business was starting to struggle. He asked if we could help get him back on track. 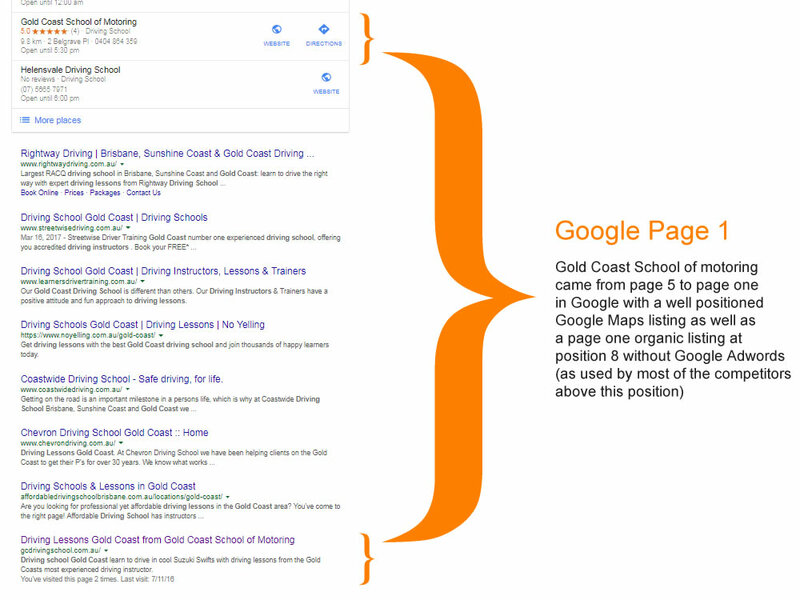 Now the problem with losing rank in Google is that newcomers take your spot, so this was going to be a tough one. 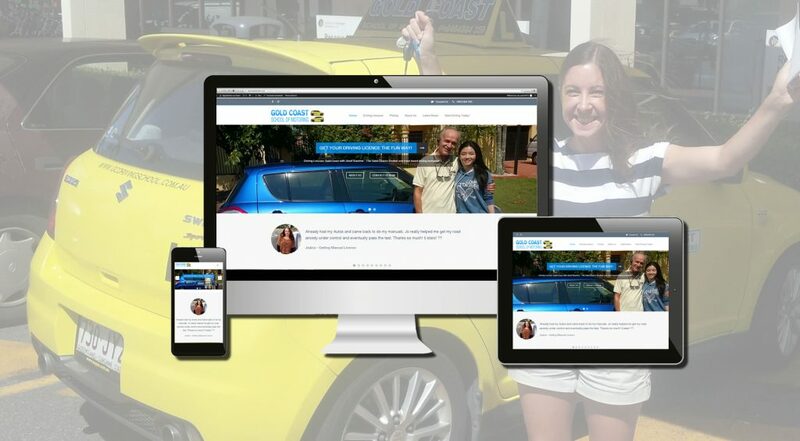 We had to completely start from scratch and build him a brand new website, as trying to fix up the site that his friend had created would take far too long. 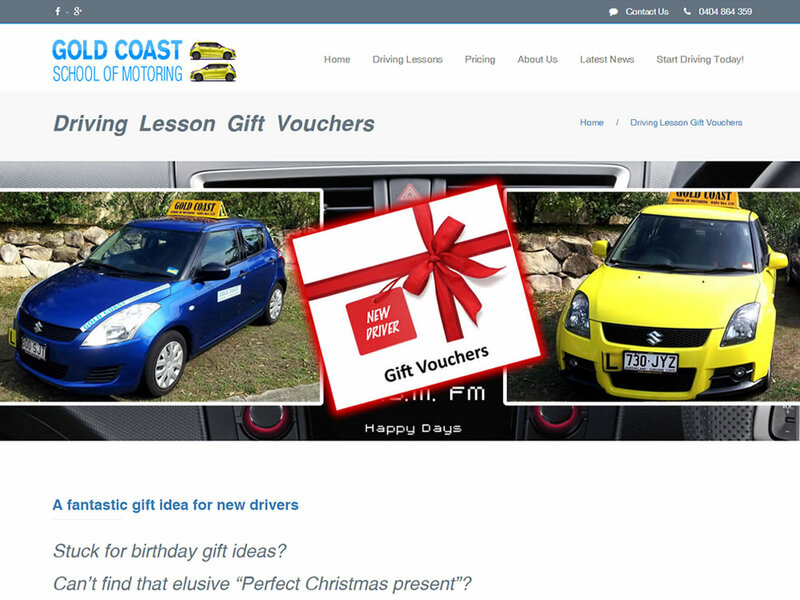 Within 2 weeks of the new site being finished, Gold Coast School of Motoring was back on page 1 in Google. Moral of the story? 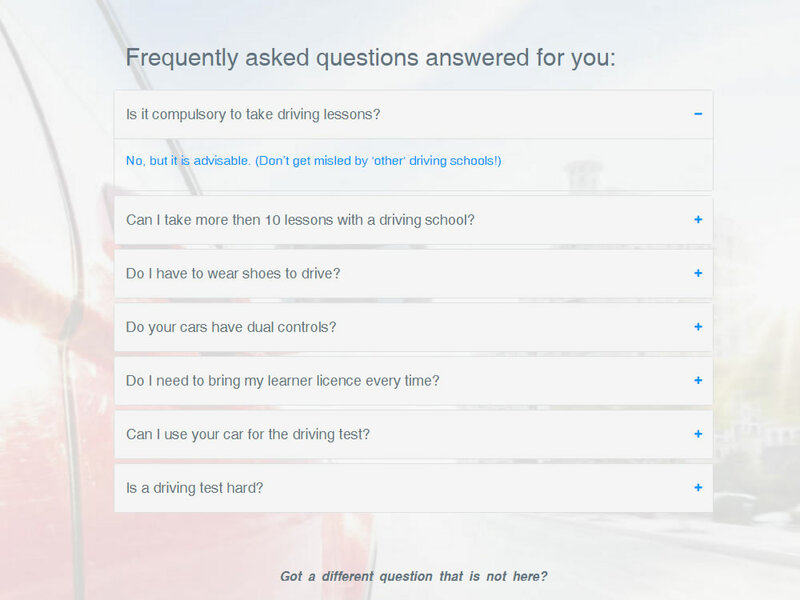 Please be careful when you are dealing with your business income. 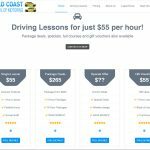 An offer from a friend to create a website cheaply is very generous, but ultimately, if they do not know what they are doing, you are doing far more damage and spending more money than you ever needed to. I wish I could say this is an isolated case, but it is not. 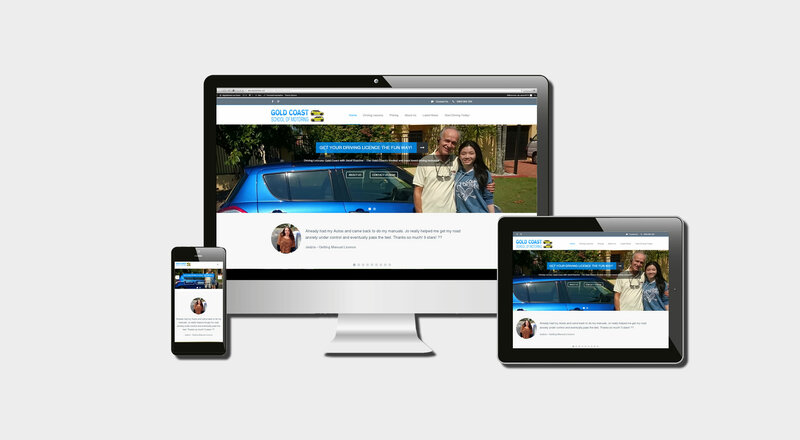 We spend a lot of time fixing “Friend Websites”!